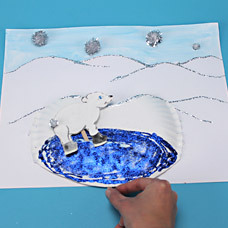 Make a skating polar bear picture that slides along the ice! 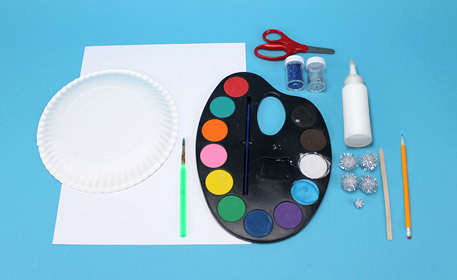 Create an interactive scene using a paper plate and wood craft stick! 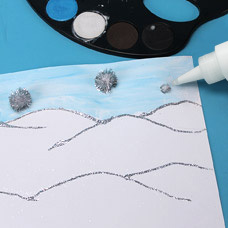 Paint a blue sky into your scene with your Watercolor Palette and glue on Glitter Poms to represent falling snow. 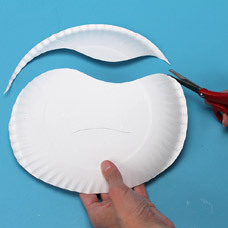 Cut the top of a paper plate to follow the shape of the mountains. 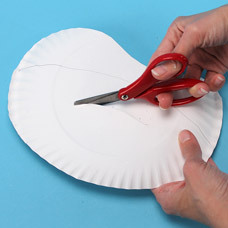 Use scissors, to cut a 2 1/2 inch slit on the paper plate. Draw a pond on the paper plate, with the slit inside the pond. Cover this area in Blue Glitter. 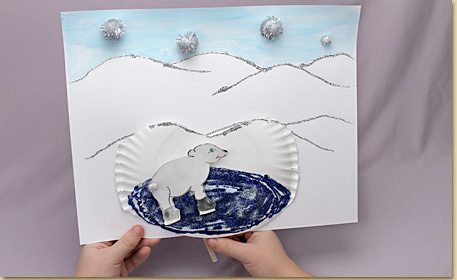 Apply glue to the edges of the paper plate and attach to the background design. Make a cute character to ice skate on your pond on a separate piece of card stock. 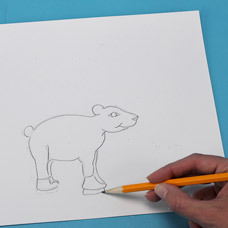 Tip: If this shape is challenging for you to draw, download our free template of a skating polar bear by clicking the “template” button on this page. Decorate your character with paint and other craft materials. 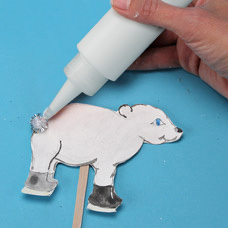 Glue a skinny stick to the back of the polar bear. Once dry, insert the stick into the slit cut in Step 5. Move this stick back and forth to make your polar bear skate on the glitter pond!